The weakest point of a padlock is undoubtably the shackle. This is why long shackle padlocks are the least secure and closed shackle are much more secure. However, here we have a lock without any shackle at all making it impossible for an attacker to cut, saw, crop or crow bar the lock off. the downside of this designis however it's very specific sizing. 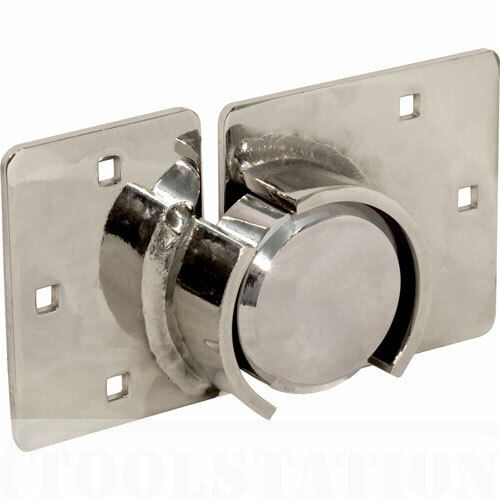 With no loop it would have to fit very precisely onto your hasp & staple or door bolt. For the sake of insurance specifications this would be classified as a close shackle padlock. We can't answer that question but look closelty at the dimensions by clicking the image above. The shackle is 10.5mm thick so ensure your bolt hole or staple has a hole of at least 11.5mm or more. 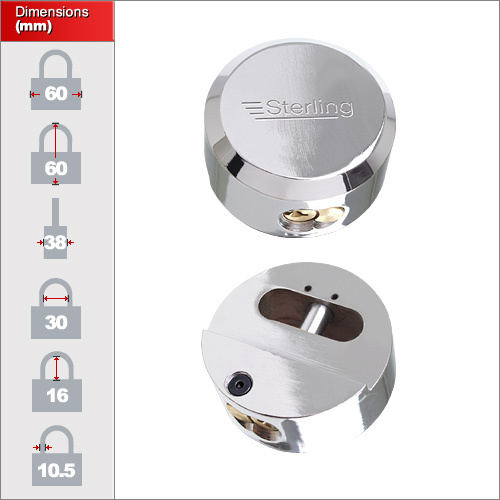 You'll then need to ensure the bolt / hasp staple is no thicker than 15mm and no longer than 28mm since the clearance inside the cavity of this lock is only 15mm x 60mm. Examine the image above for more info. 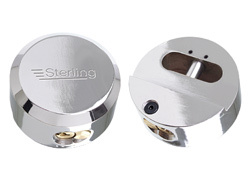 To be absolutely sure then the best bet is to use a hasp and staple that is specifically design for this lock. Once installed it looks like this. Please note that this hasp needs to be purchased separately.